Saturday night at the Stadthalle in Rostock, Mecklenburg-Vorpommern, Germany, WBA light heavyweight champion Juergen Braehmer (42-2, 31 KO’s) makes the first defense of the world championship against current Commonwealth light heavyweight title holder, Enzo Maccarinelli (38-6, 30 KO’s). Braehmer won the strap in his last outing, taking a 12 round decision over Marcus Oliveira in December. It was a step up from the regional titles he’s held, four total as both a light heavyweight and a super middleweight, and the WBO world light heavyweight title he held in 2009-2010. 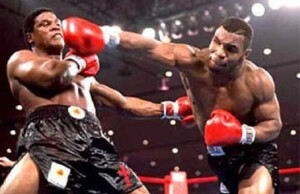 The long reigning title holder is known as a decent puncher with a good body attack. His two career defeats were both close decisions to Mario Veit and Hugo Garay, the first being avenged a little over year later when Veit was knocked out in four rounds. Since losing to Garay, Braehmer has won 11 straight with six knockouts, taking the WBO light heavyweight title as well the EBU and WBO International belts. Coming in to Saturdays match up, Braehmer and his team are confident the southpaw will score a win inside the distance. 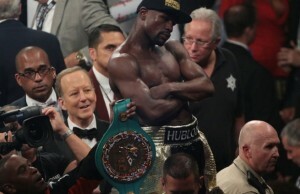 Karsten Roewer, who trains the champion, told ESPN.com, “I do not think that this fight is going the distance. Juergen, at 35, still showed progression during preparation. We chose to use the gloves with the most cushioning for Saturday as Juergen does not want to hurt Maccarinelli too much”. 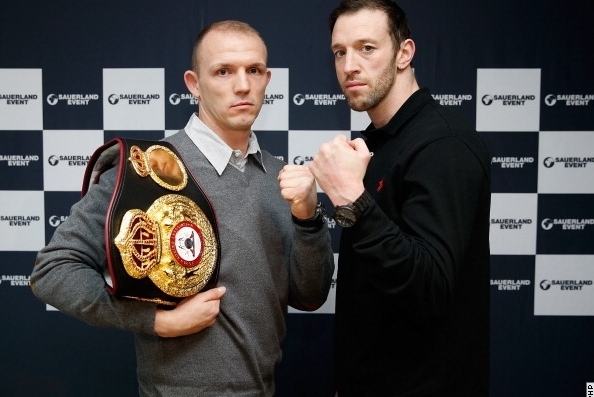 In Maccarinelli, Braehmer faces a heavy handed former cruiserweight champion. A former WBU and WBO world title holder, he dropped down in weight in an attempt to prolong his career after a series of knockout losses. Once a highly regarded fighter, he all but fell apart after being starched in two rounds by David Haye in 2008. He’s been stopped four more times since, causing many to write him off as a legitimate contender. Maccarinelli attributes his unraveling to personal issues and his inability to step away from the sport when he needed to. Since moving down in weight, Maccarinelli has suffered one loss; Ovill McKenkie scored a second round TKO in 2012 but less than a year later, Maccarinelli turned the tables and stopped McKenzie in a rematch to win the Commonwealth (British Empire) light heavyweight title which he still holds. He’s now on his third three fight winning streak since the Haye bout, all three wins coming by stoppage and has scored knockouts in nine of his last 10 victories. At this point, a win for Maccarinelli is critical to his career. A loss would surely end any chance he has of being taken once again as a serious world class fighter, and possibly end his career altogether. Braehmer would have a much easier time rebounding from a loss in tomorrow’s contest while a win could push him into a higher profile match up down the line.